BLOOMINGTON, Ind. 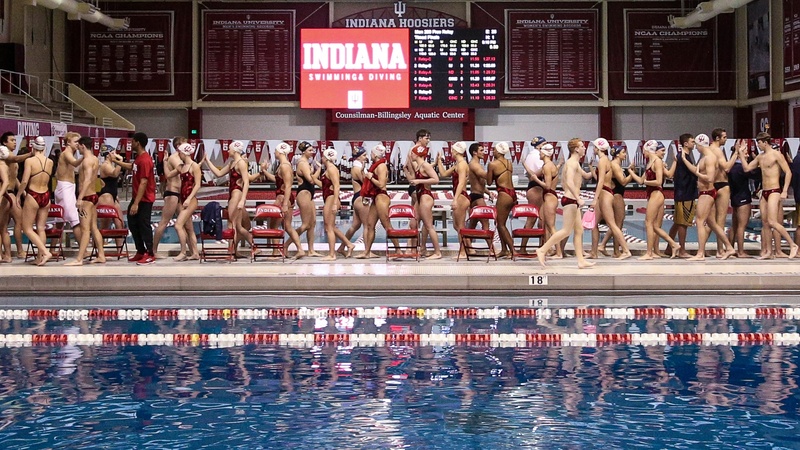 – The Indiana University men’s and women’s swimming and diving teams will open the 2018-19 season on Wednesday, Oct. 10 when the teams host a quad meet at the Counsilman Billingsley Aquatic Center in Bloomington. The meet featuring the Hoosiers, Notre Dame, Kentucky and Missouri will start at 10:00 a.m. ET at the CBAC in Bloomington, Ind. Live results for the match can be found at IUHoosiers.com. Admission to the meet is free. Wednesday’s quad meet with feature 32 events – 14 swimming events and two diving events for both the men’s and women’s teams. The order of events for swimming will be 200 medley relay, 1,000 freestyle, 200 freestyle, 100 backstroke, 100 breaststroke, 200 butterfly, 50 freestyle, 100 freestyle, 200 backstroke, 200 breaststroke, 500 freestyle 100 butterfly, 200 IM and 400 freestyle relay. Diving will run during the meet and during the swimming breaks. 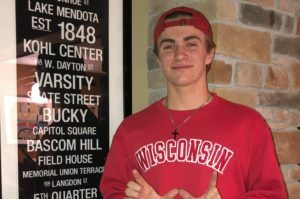 Current IU swimmers Zach Apple, Michael Brinegar and Lilly King were named to the team, as well as Hoosier postgrad swimmers Margo Geer, Zane Grothe, Cody Miller and Blake Pieroni. 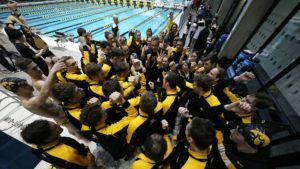 Indiana head swimming coach Ray Looze, associate head coach Mike Westphal and associate head sprint coach Coley Stickels were named coaches for the team. At the 2018 Pan Pacific Championships this past August in Tokyo, current and postgraduate Hoosiers won a total of 10 medals over the course of four days of competition – four gold, four silver and two bronze. For current Hoosiers, Lilly King won gold in the 100m breaststroke, silver in the 200m breaststroke and silver in the 4x100m women’s medley relay. Zach Apple, along with postgrad Blake Pieroni, won gold in the men’s 4x200m freestyle relay. IU’s Ray Looze served as head men’s coach for Team USA at the event, while associate head coach Coley Stickels was head coach for Columbia. 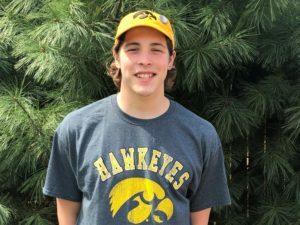 Indiana freshmen Mikey Calvillo, Van Mathias and Christin Rockway all competed for Team USA in the Junior Pan Pacific Championships this past August in Fiji. 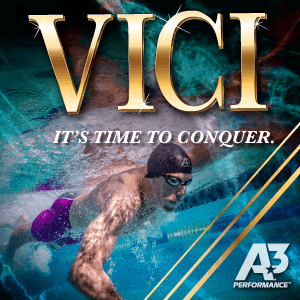 Featuring the top junior swimmers from the U.S., Canada, Australia and Japan, the Junior Pan Pacific Championships have consistently proven to be a springboard for international success. Qualifying for Team USA at the Pan Pacific Championships were current IU swimmers Lilly King, Zach Apple and incoming freshman Michael Brinegar. Also qualifying were current IU swimmers Vini Lanza (Brazil) and Gabriel Fantoni (Brazil). IU’s Lilly King won the national titles in both the 100m and 200m breaststroke this past July. Current postgrad swimmer Zane Grothe won the crowns in the 400m and 800m freestyle, while postgrad Blake Pieroni won the 100m freestyle title. IU head swimming coach Ray Looze was named Big Ten Men’s Swimming Coach of the Year, while Drew Johansen was named Big Ten Men’s Diving Coach of the Year. 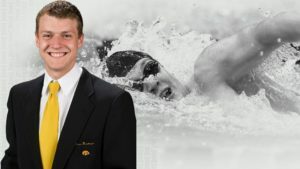 Ian Finnerty was named Big Ten Men’s Swimmer of the Year. 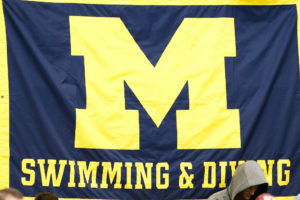 Looze and Johansen were also named CSCAA Swimming and Diving Coaches of the Year, respectively. For the second-straight, year IU’s Lilly King was named the Big Ten Female Athlete of the Year. King becomes just the third person – man or woman – to win the award in back-to-back seasons and is also just the third person in league history to earn the honor more than once. The third-place finish for the Hoosiers at the 2018 NCAA Championships was the best for the program in 43 years, when IU took second in 1975. Indiana won a total of four NCAA titles over the week, the most for the team since winning six crowns in 1973. The top-10 finish for the Hoosiers at the NCAA Championships is the sixth in the last seven years. For the third-straight season, Indiana finished as the top Big Ten team at the NCAA Championships – the best stretch for IU since accomplishing the feat for 15-straight seasons from 1964-78. Over the course of NCAA Championships, the Hoosiers had 12 individuals earn a total of 42 All-America honors – the most in program history in 44 years since the team tallied 50 in 1974. 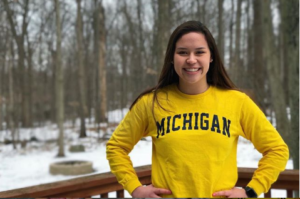 The six-time NCAA champion and 12-time Big Ten champion is the first woman in league history to not only be named Swimmer of the Year three-consecutive years, but also the first to earn the accolade three times overall. The Hoosiers earned back-to-back Big Ten Championships for the first time since winning three-straight from 1983-85. The title was the 26th in program history. IU won 14 league crowns at the Big Ten Championships, the most since winning 14 in 1975.